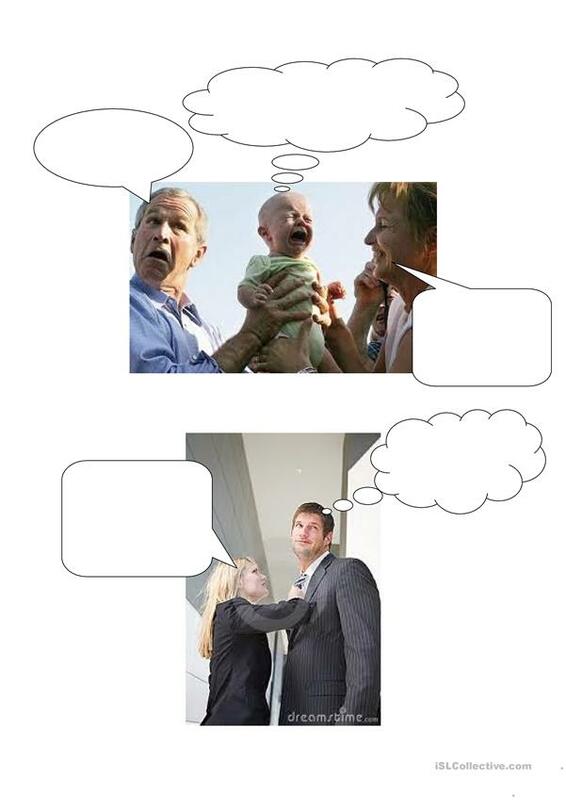 Various pictures with blank speech and thought bubbles. 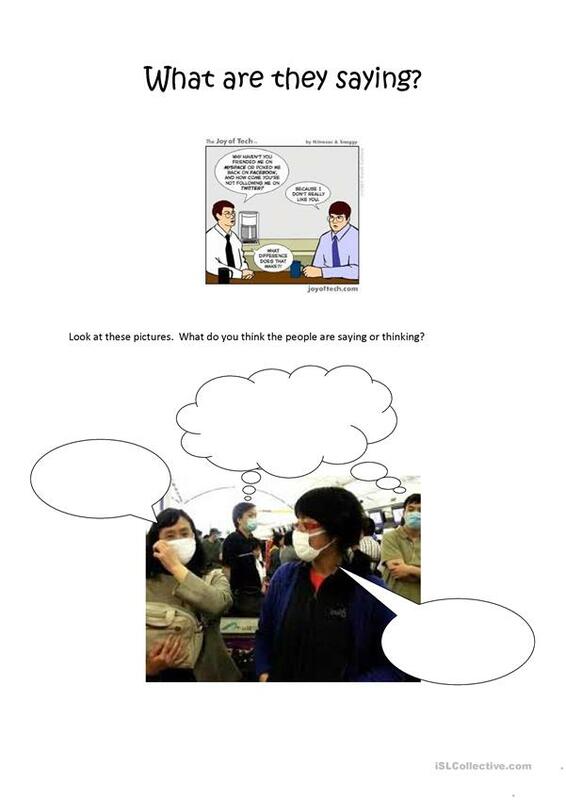 A good filler and a chance for students to be creative with the English they already know. It can be changed or amended to fit your lesson theme. The present printable, downloadable handout was created for business/professional students, high school students and adults at Beginner (pre-A1), Elementary (A1), Pre-intermediate (A2), Intermediate (B1) and Upper-intermediate (B2) level. It is excellent for strengthening your class' Writing skills. It is about the theme of People.